In 2015, Coindesk had Published an Op-ed titled “Bitcoin Will Still Bite The Dust,” authored by Kevin Dawd, in which the author claims that the digital asset is likely to see only failure. Kevin Dowd is a Professor of Finance and Economics in the Business School at Durham University, who had co-author the paper “Bitcoin Will Bite the Dust,” along with Martin Hutchinson, a market analyst, and author. The pager was written for the libertarian Cato Institute in Washington DC. If we look at the current scenario of Bitcoin’s performance, the professor’s words may sound correct in technical terms. He says “To work as intended, the bitcoin system requires atomistic competition on the part of the miners who validate transactions blocks in their search for newly minted bitcoins. However, the mining industry is characterized by large economies of scale. But it doesn’t look like the above-defined characteristics actually hold true. Though there exist economies of scale in bitcoin mining but there are several other industries which do not enjoy monopoly but still have economies of scale. When the distribution of Hashrate is looked into, it clearly gives a picture that Bitcoin surely does not enjoy monopoly and the Hashrate is distributed among many others in the field. The numbers of operations a bitcoin miner’s computer executes in a given period of time is measured in terms of Hashrate. If the hash rate is higher, greater will be the chances of finding the correct solution, get rewarded with a bitcoin and qualify to get into the next block of transactions within the chain. Miners are just a part of the holders who hold Bitcoin. 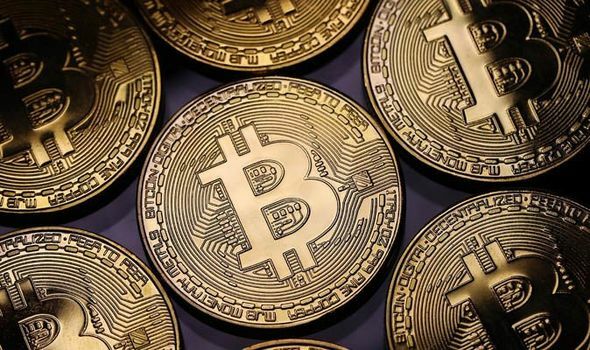 The list also includes individuals, businesses, Exchanges, Wallet companies, developers who hold bitcoin either as savings or as a speculative investment or for business. It would not be correct to showcase Bitcoin as a monopoly with centralized control. Bitcoin, in fact, is an intelligently imagined, highly powerful digital economic architecture consisting of multiple levels of checks and balances put into it similar to the U.S. Constitution. He further adds in the paper that “There is also the argument that the price of bitcoin must go to zero because an inferior product cannot survive long-term in the absence of regulatory barriers to entry. Even this does not hold good. Dowd contradicts himself here. Initially, he states that Bitcoin will bite the dust as it is just next to impossible to sustain in the market without getting absorbed by someone bigger. Later he states that Bitcoin will bite the dust as it is just too easy for the competition to enter the market and compete. Both his claims hold no good. His first claim gets incorrect with the mere fact that bitcoin market is an oligopoly and not a monopoly. The second claim that defines Bitcoin as an inferior product is also wrong. Bitcoin is the strongest and the oldest crypto asset today with one of the longest blockchains. With its age, it has experienced the maximum battle-hardened network with enormous bugs and attacks. Due to its sheer size, it becomes the most difficult target for a 51 percent attack.